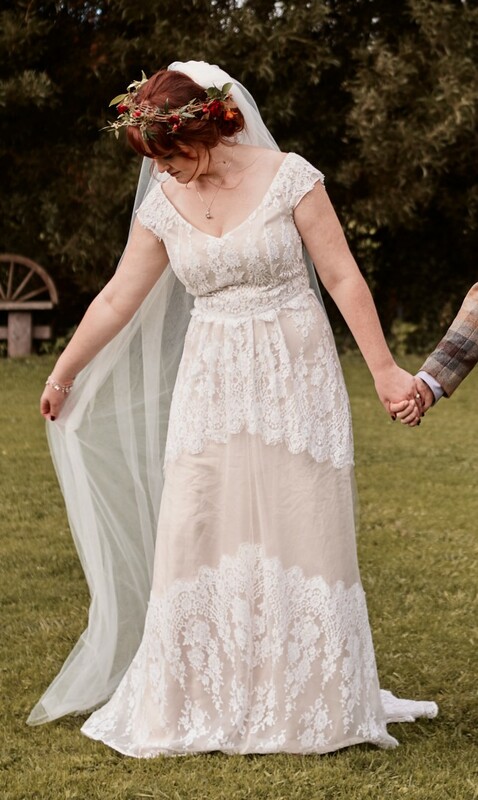 Gorgeous Libby gown from Rue de Seine. Ivory lace over a fitted ivory slip. I did not wear the slip on my wedding day, I had a champagne one made but will sell this with the original. It's in great condition except for one small stain on the train. Also comes with chapel length veil. Hemmed, tucked in at the waist and neckline lowered. All done by Meg's Tailoring in Newmarket.